When I was a kid, there were three Nintendo 64 games I repeatedly rented from Blockbuster: Diddy Kong Racing, Kirby 64: The Crystal Shards, and Yoshi’s Story. I eventually did buy the games — several years and what I can only assume to be a business-saving amount of rentals later — but the infinite loop of renting means they have a unique type of nostalgia associated with them. 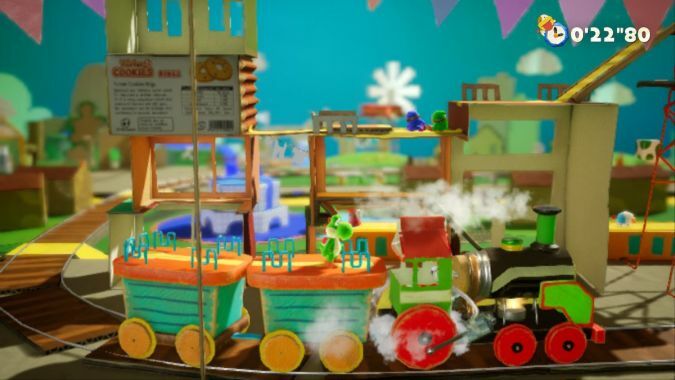 Perhaps it’s fitting, then, that my first taste of Yoshi’s Crafted World comes from a short-lived demo. Thankfully, that demo is incredibly promising and has all but assured I’ll be buying this game as soon as it comes out (RIP Blockbuster rental option). If you’ve played any of Yoshi’s other adventures, it probably won’t surprise you to hear that this game is full of adorable moments and scenery that could have easily come straight from a child’s mind. That latter characteristic is more prevalent than ever, as everything in the demo — save for maybe the characters themselves — genuinely looks like it could be crafted in real life, given the right materials. The portions you walk on look to be made of cardboard and construction paper, while the buildings are defined by the crayon drawings that turn them from milk cartons to skyscrapers. Pushpins hold trees down, while strings allow clouds to float above. The more you look, the more details you see — and the more details you see, the more you realize this game really is a crafted world. A huge part of that ability to look at the details comes from one of the game’s two new key features — the ability to run a level “backwards,” with the viewpoint shifted 180 degrees and the player seeing the back side of everything. Sure, you may have seen that that building had crayon-drawn windows, but what you didn’t see was that it was made using a cookie box! Or, hey, remember that butterfly from earlier? Turns out, that was a Shy Guy hiding behind a bush, holding up a hand-crafted butterfly like a prop on a stage. Allowing players to see the stage from the other side not only makes everything seem all the more crafted, it adds an extra layer of puzzle-solving to things. Certain objects that you saw in the forward version of the level make sense when running the reverse side. Similarly, you might occasionally run into something on the reverse side of the level that sheds light on why you missed a flower or special coin on the forward side. Overall, it’s a really fun way to give each level twice as much design, and even more than twice as much complexity. It may seem small, but it helps make the game feel fresher than the side-scrolling “2.5D” Yoshi games of yore. Sadly, the demo only contains one level, front and back, so the rest of the game’s content — dinosaurs, pirate ships, boss battles, collectibles (! ), and more — is only viewable via a small teaser video at the end. And even though there were a couple frustrating parts of the demo — I made a point to hit every cow my first time through, only to have to go back and do it again once I’d officially been asked to — the demo and the teaser video have me convinced that this is a Yoshi game worth getting. I mean, I would have bought it for the cuteness factor alone, but the demo made a strong case for gameplay that matches the cuteness. 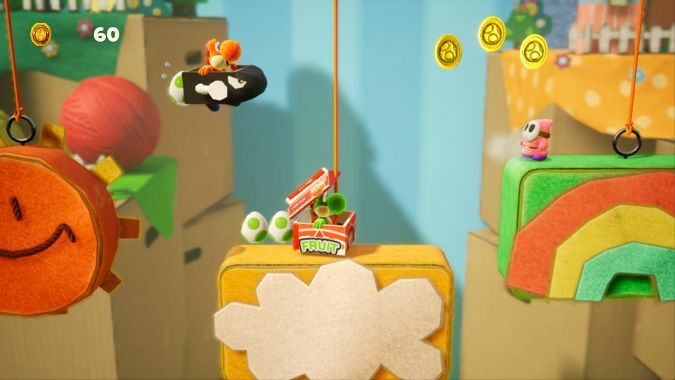 Yoshi’s Crafted World hits shelves March 29 of this year. It will likely be one of the cutest weeks of 2019.